These beautiful studs earrings from the Thomas Sabo Sterling Silver collection will bring a touch of glamour your everyday look. 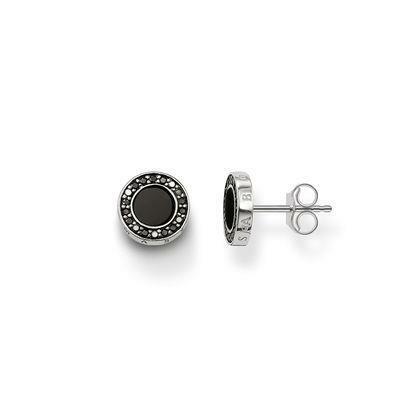 Made with 925 Sterling Silver, these studs feature a beautiful Black Onyx stone at the centre decorated by sparkling black Cubic Zirconia. Simple and elegant, these Thomas Sabo earrings can be worn with matching pieces from the SS15 collection.